Caterpillar Insurance Holdings, Inc. acquired Integral Insurance Company in June of 2000. At this time, the name was changed to Caterpillar Insurance Company. In 2004, Caterpillar Inc. acquired Maxicare Life and Health Insurance Company to become Caterpillar Life Insurance Company. The company is licensed to sell life and accidental and health insurance in all states except Rhode Island and Connecticut. However, the company has an arrangement with ACE INA Overseas Insurance Company, LTD. based out of Bermuda so that it is able to write insurance in Rhode Island and Connecticut. 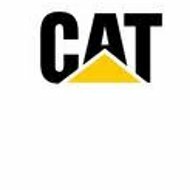 The company provides group accident and health coverage to employees and retirees of Caterpillar, Inc. The United Healthcare Choice Plan requires policyholders to visit physicians that are within the United Healthcare network. Any visits to non-participating physicians will result in non-payments of benefits. Prescriptions are managed through Medco Health. If you are part of the Out of Area plan through United Healthcare, you are not required to see doctors within a participating network. There may be providers that are considered in-network, but it is not a requirement to see those that are on the list. Pharmaceuticals are managed through RESTAT. Under the United Healthcare Indemnity Plans, the insured is not required to go to a participating provider. However, the company does maintain a list of participating providers. Drug coverage is also managed by RESTAT. Caterpillar prescription benefits can be viewed on the company’s website. Drug lists, policies and forms, education and resources, and information regarding the Walgreen’s mail service can all be reviewed on the website. The drug benefits section is broken down into three different groups. The first group is the salaried, support, management, and non-bargained hourly participants. The second group is production hourly participants, and the third group is the Medicare Part D recipients. Caterpillar provides the necessary health care forms online on their website. These forms include diabetes testing supplies forms, disabled dependents forms, health claim forms, RESTAT prescription forms, and prescription drug reimbursement forms. Caterpillar claims can be viewed online on the website. The website provides the ability to see the EOB also known as the explanation of benefits. The EOB explains how the claim was processed and why it was processed the way it was by the insurance company. Claims history can be viewed online for the past 18 months. If you are still not satisfied with the appeal, policyholders can call the human resource department of Caterpillar at (866) 494-4562 to discuss the issue further. Caterpillar provides customer service by keeping their policyholders informed and educated. On the website, there are frequently asked medical questions and medical topics for customers’ review. The website also provides health topics and health calculators to help individuals fight disease and become healthier. The company also provides the option of using a FSA or flexible spending account. The FSA allows individuals to set aside money on a pre-tax basis to use towards expenses. Two different FSA’s are available: health care and dependent care. Dependent care can be for the elderly or for dependent children. This has been the worst Health Care Plans in my 40 years at Caterpillar. After contacting Cat directly they couldn’t give me any information on copays for me and my wife just on emergency room is $100.00. On prescription drugs coverage I had to request authorization thru Cat to continue use which was denied 3 weeks after I ran out. Yes, it was a drug I was taking before the changeover. My wife, Beulah R. Smith is 80 this year and was sent a letter in December of last year that her lifetime health benefits of $100,000 from age 65 -on will be reaching its limits anytime. So far, they have not reached the max. I have been advised that it is illegal to deny someone health coverage because of reaching a certain predetermined amount. Please let me know what is legal and what is not. Also, I would think a big company such as Caterpillar would offer some kind of health insurance to retirees and spouses if this is true. When I called, that don’t offer any advice or help with what we can do at all – other than to say to look for another plan.